1998 Fuqi FQ2022S - What have we got here? I have no idea. A quick internet search turns up very little, other than this SUV, or one similar to it, was for sale in Illinois a few months ago. It's a Chinese made SUV that looks similar to an old Toyota Land Cruiser. There is no mention of how this vehicle is titled, so it may be impossible to register in most states. Located in Webster, MA, click here to see the eBay listing. 1967 Oldsmobile Delta 88 Convertible - This car is from a time when style meant something to American car makers. You may not have liked the style, but you could see that some effort went into it. Located in Boise, ID, click here to see the eBay listing. 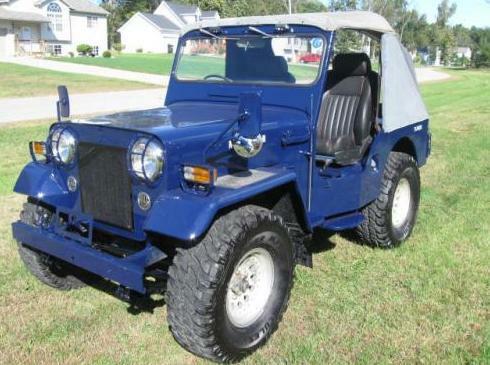 1981 Mitsubishi Jeep Diesel - In 1953 Mitsubishi acquired the rights to build Jeeps in Japan. They built them right up until 1998. These are pretty interesting vehicles. They have the old Willys Jeep body style, Dana axles and a tough, reliable Mitsubishi diesel engine. Mitsubishi never sent these Jeeps to the US (I'm certain that their deal with Willys / Jeep didn't allow them to do that), but quite a few have made their way here. Located in Jackson, MI, click here to see the eBay listing. 1989 Merkur Scorpio - Wow. 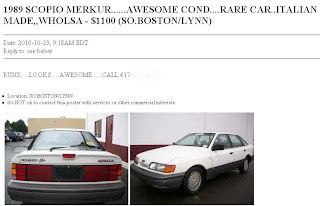 This might be the rarest car I have ever written about... An "Italian made" Merkur Scorpio. By the time this Scorpio was built (in Germany), most of the initial problems with the car had been cured. The reputation of the early cars and its orphan status have kept the prices ridiculously low. It's a bargain European sedan. This Scorpio appears to be in nice shape, although I'd be a little leery about buying a car from someone who knows so little about it. 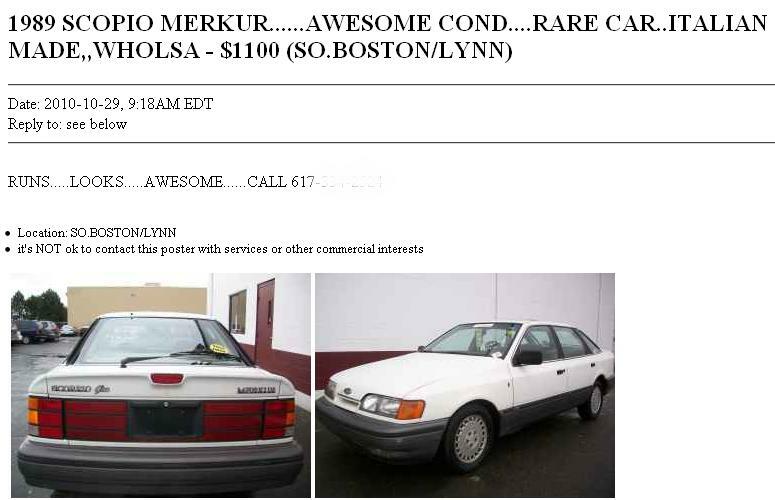 Located in Lynn, MA, click here to see the Craigslist ad. Interesting truck. The auction state it has a title. Wonder how that occured? Engine is listed as a 4 cylinder. Looks like a 2f Toyota Engine. Wish I had the space. he auction for the Fuqi sold on the 1st auction at $3050. Looks like the seller got negative feedback on the car and re-listed it here:http://cgi.ebay.com/ebaymotors/ws/eBayISAPI.dll?ViewItem&item=160505737197&viewitem=&sspagename=STRK%3AMEWAX%3AIT. It's at $500 right now. The feedback stated that the vehcile is a complete piece of junk.